First off, thanks to everyone who participated in the Delifrance Tray Couture Giveaway. I loved your answers! Some were witty, some serious. Some shared a bit of themselves in their answers and a couple even wrote some verses! I had a hard time trimming down the winners list. How could I choose only 10? It was tough but in the end, I managed to choose the ten I liked the most. Congratulations to the winners! Please wait for my email for details about how to claim your prize. Check your SPAM boxes as well, just in case. Thanks again to Delifrance and GeiserMaclang for sponsoring this contest! 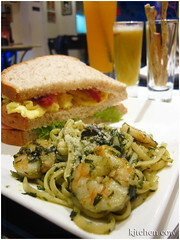 This entry was posted in admin, culinary events, restos & eateries, sponsored events and features. Bookmark the permalink. Woot! Thank you, Kaoko! I’ll be sure to blog about the experience! Thank you too, GeiserMaclang and DeliFrance! Woot! nice blog. i’ll add you to my list! keep it up with all the pinoy goodness!